Slotted thermal laminating pouches makes a perfect selection for making hanging badges for use with lanyards or badge clips to create id tags, event passes and office name tags. 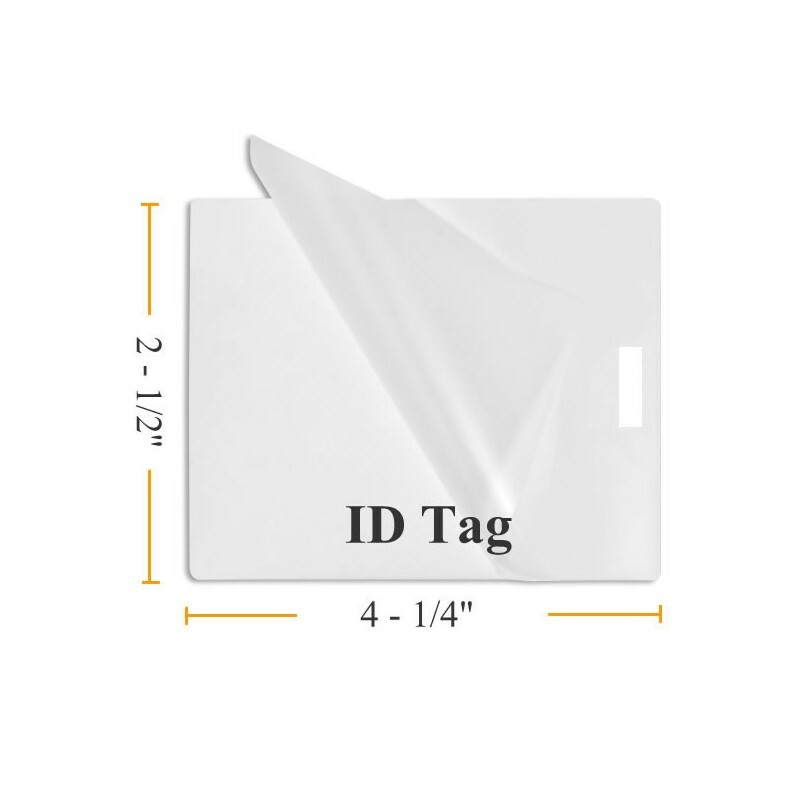 Vertical ID Tag Size Lamination Pouches with Slot measure 2 1/2" by 4 1/4". Pouch slotted on short side. 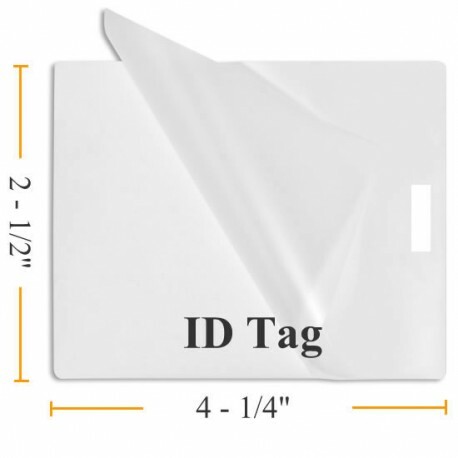 Vertical ID tag size laminating pouches are used to protect hanging id tags, badges and passes. Pouch includes pre punched slot for lanyard or badge clip. Laminating Pouches are intended to be used in thermal pouch laminating machine. A laminating pouch is sealed on one edge for ease of use. The document or card is placed inside the laminating pouch and placed in the hot id card pouch laminating machine to seal. Don't forget the LANYARDS or BADGE CLIPS to create visible badge, pass or id card. Take a look at our Id Laminating Pouches Bulk Prices! ALSO, we offer a Price Quote for large volume one time orders and a Preferred Customer Program for those who order frequently. Let us beat your current vendor's pricing! Our excellent customer service and prompt shipping will make you happy you switched to BuyLamination.com!